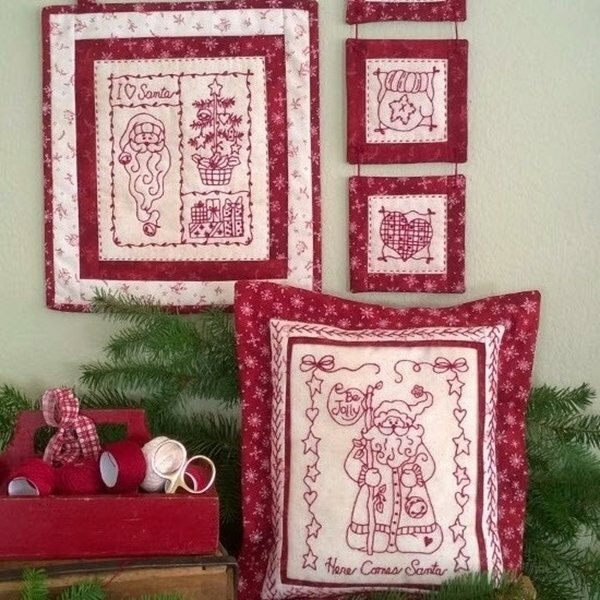 Santa is Coming Redwork by bird Brain Designs. Kit is for Wall Hanging Finished size is 11" X 13". Kit includes pattern and all fabric for project. Thread not included.